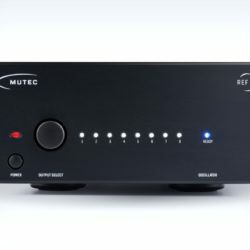 The MUTEC REF 10 is an audiophile-grade reference master clock that generates a 10 MHz signal, or 10 million cycles per second. 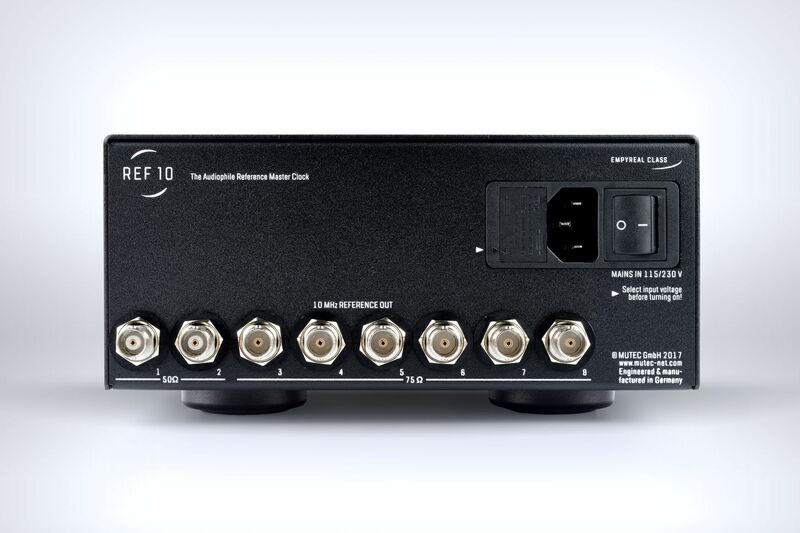 The REF 10’s industry-leading ultra-low phase noise will unlock a more dynamic, detailed sound stage with exceptional accuracy in your digital playback system. By acting as the “conductor” of your digital gear, the REF 10 provides a rock-solid clock reference to synchronize your playback system resulting in superior audio fidelity. MUTEC has found that the stability of “atomic clocks” based on commonly used rubidium or cesium oscillators are limited to the long-term time domain. While long-term stability may be useful in other applications, it is actually not ideal for digital audio where short-term stability is crucial, since it is the timing between samples as the digital audio stream is converted or transferred that needs to be as precise as possible for the optimal sound quality. 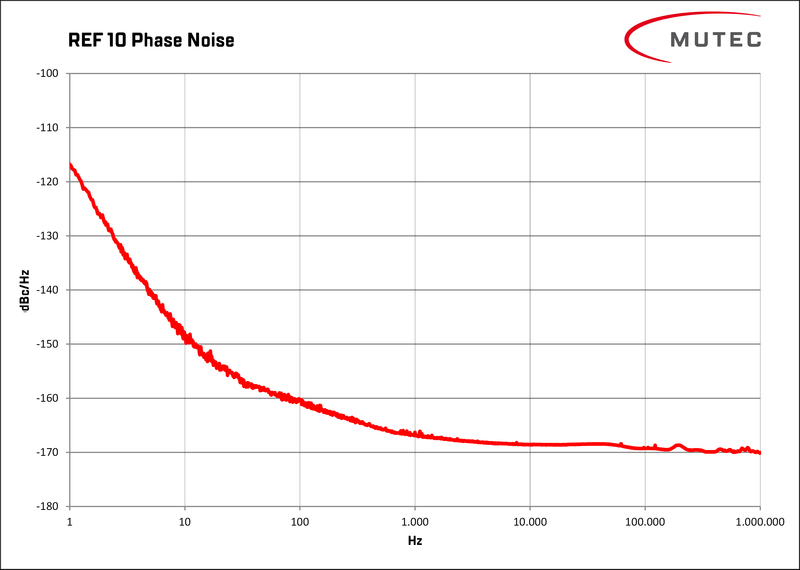 Fluctuations in the short-term stability result in phase noise (frequency domain) and jitter (time domain), producing unwanted artifacts and distortion. Because fluctuations in temperature can also affect an oscillator’s performance, the REF 10 contains a hand-crafted, oven-controlled oscillator (OCXO), made in Germany, featuring the highest clock stability in the time domain relevant to digital audio performance. 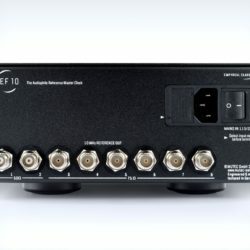 The REF 10 also incorporates an engineering focus to remove electrical and RF noise from the clock signal using high quality transformers, components, and isolation between outputs, while also allowing individual outputs to be turned on and off as needed for even lower noise performance. Most other clocks commonly use an oscillator that outputs a sine-wave reference signal. However, MUTEC has found that it isn’t the most optimal wave-form shape for a clock reference. 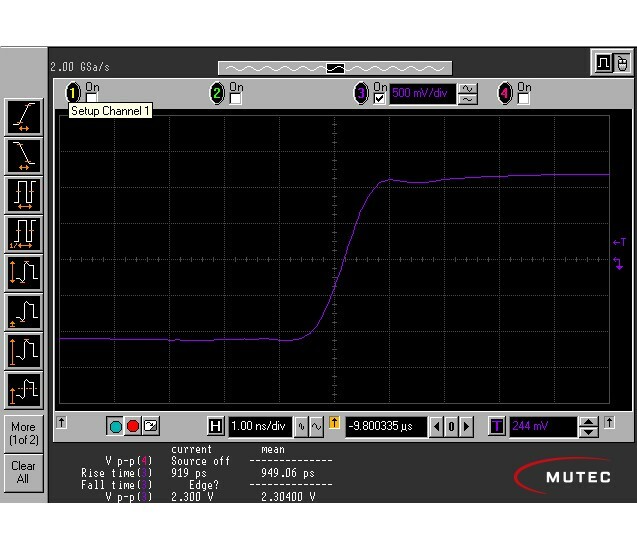 A square wave with a steep rising edge coupled with MUTEC’s proprietary technology provides more consistent and stable performance. The REF 10 is extremely flexible and features unrivaled compatibility, allowing users to integrate a 10 Mhz clock with no fuss. 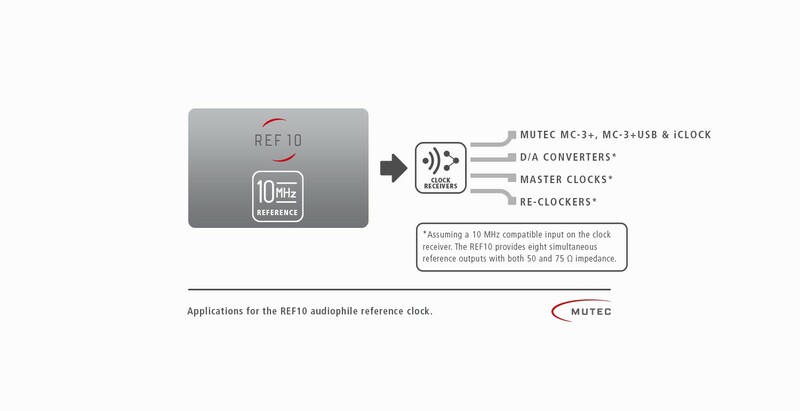 A total of eight outputs can be used simultaneously to allow the REF10 to be used with a variety of 10 Mhz compatible products. 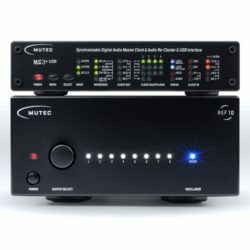 In addition, each of the BNC reference clock outputs can be switched on/off individually, further reducing potential noise or interference in the signal. 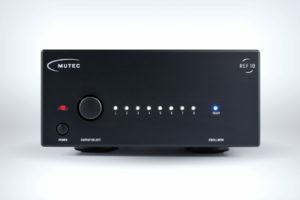 It will enhance the audio quality of DAC’s, re-clockers, music servers, and existing audio clocks to the highest level. 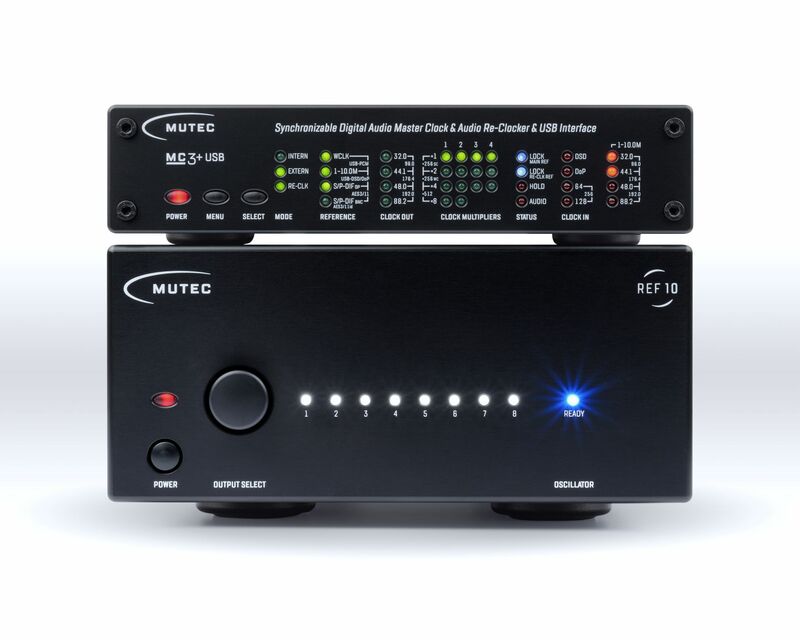 It is an excellent match and ideal upgrade to the MUTEC’s MC-3+ USB and MC-3+. Product dimensions with controls/connections (HxWxD): 3.75" x 7.75" x 13.5"
Boxed dimensions (HxWxD): 8" x 17" x 12"